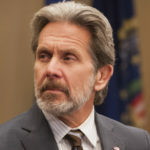 Gary Cole is an American actor. Cole began his professional acting career on stage at Chicago’s Steppen wolf Theatre Company in 1985. On television, he has had starring roles in the series Midnight Caller, American Gothic, Crusade, and Veep. In film, Cole has appeared in The Brady Bunch Movie, One Hour Photo, Office Space, Dodge ball, and Talladega Nights. Cole is also known for voicing the title character of Harvey Bird man, Attorney at Law. "You need someone to tell you how to do things like hitting your marks, or driving a car so it looks right or getting out of a car so it doesn’t take a million years of screen time."